Nailless Boxes is your packaging partner, which develops out-of-the-box solutions, to reduce the cost of packaging and increase the safety of your product. 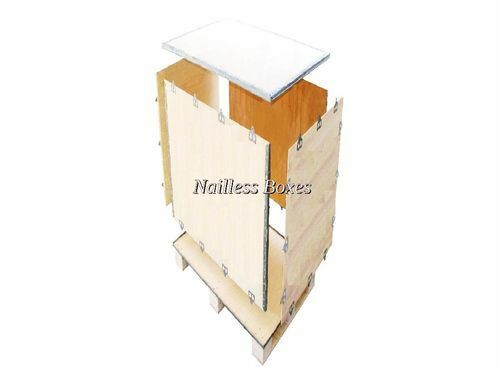 We are well known manufacturer and supplier of Plywood Pallets, Plywood Boxes, Wooden Crates, Fiber Board Angles and many more. We are also providing service of Packing Contract Service and Packing Project Service. Having knowledge of wood and plywood since last 38 years, we know the best solutions for a given packaging task. Having thorough knowledge of raw materials and their reliable sources, we ensure "Zero-defect" materials. Having a huge range of products, we offer the best suited solutions to each of our client.